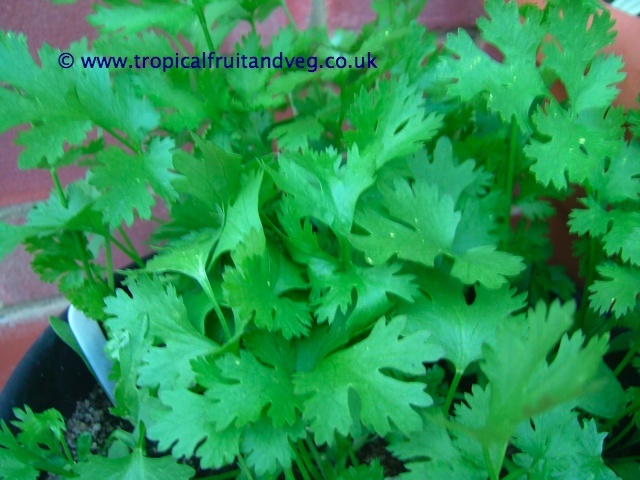 Coriander is a soft, hairless, foetid plant growing to 50 cm tall. The leaves are variable in shape, broadly lobed at the base of the plant, and slender and feathery higher on the flowering stems. 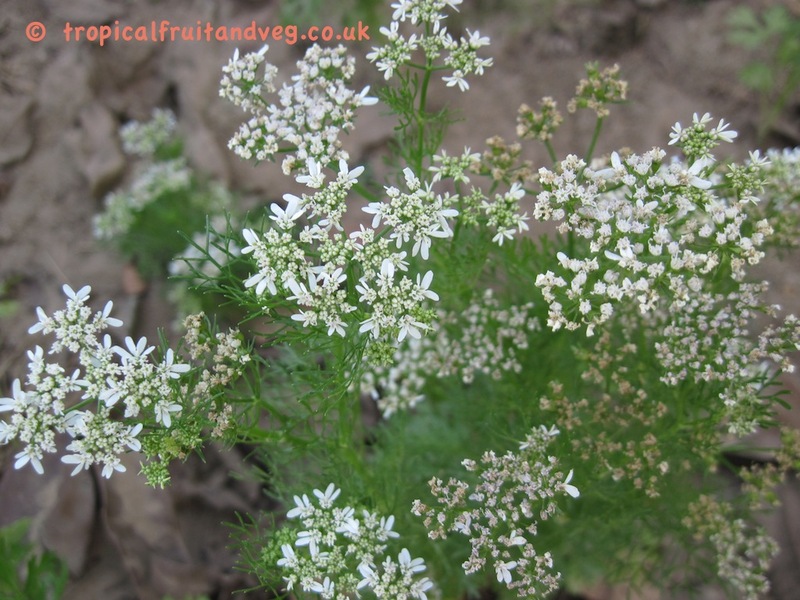 The flowers are borne in small umbels, white or very pale pink, asymmetrical, with the petals pointing away from the centre of the umbel longer (5-6 mm) than those pointing to the middle of the umbel (only 1-3 mm long). The fruit is a globular dry schizocarp 3-5 mm diameter. 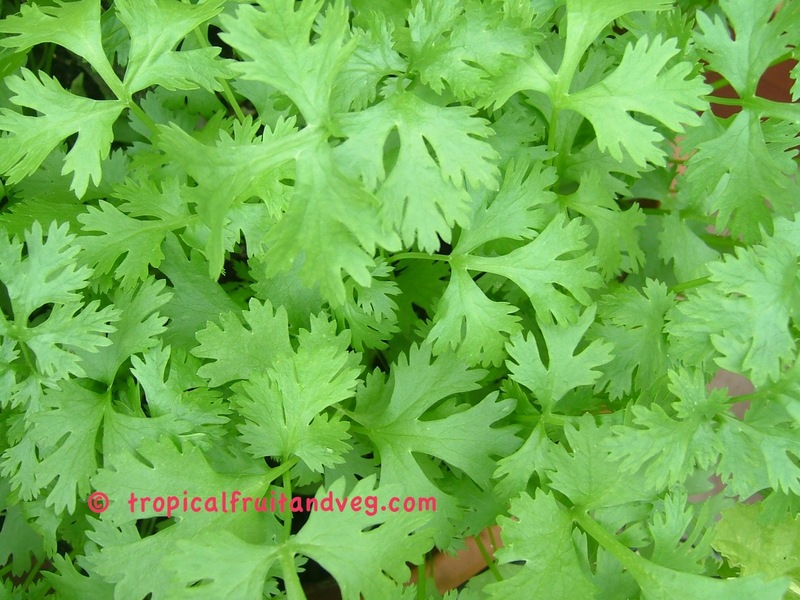 Researchers have found that coriander can assist with clearing the body of lead, aluminium and mercury. 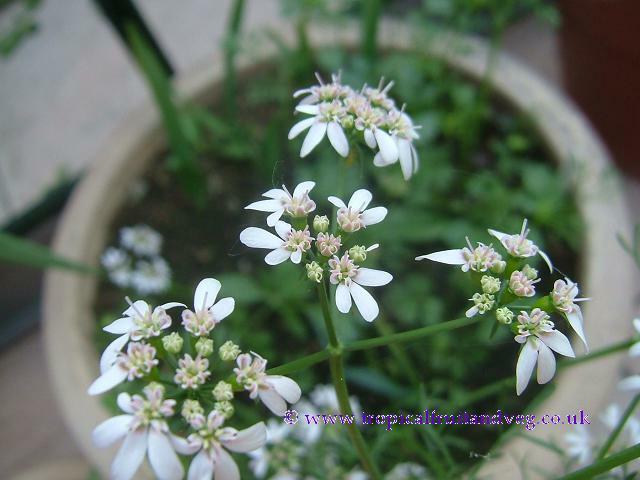 Coriander has been used as a folk medicine for the relief of anxiety and insomnia in Iranian folk medicine. Experiments in mice support its use as an anxiolytic.Coriander essential oil has been demonstrated to exhibit antibacterial action against E. Coli. Warmth and light are key to success. In tropical climates it grows all year round however, in the UK will only grow well between spring and late summer. 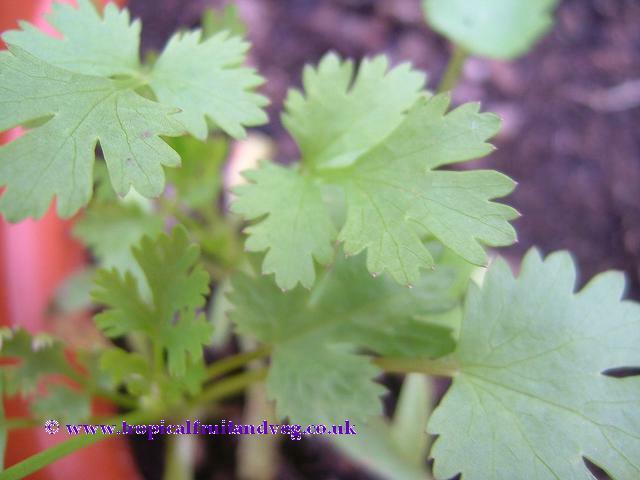 Coriander will grow in all types of soil but does best in rich deep soil with lots of compost. Ensure it has lots of drainage. If growing in a pot, ensure it is atleast 25 cm deep else the herb will have stunted growth. 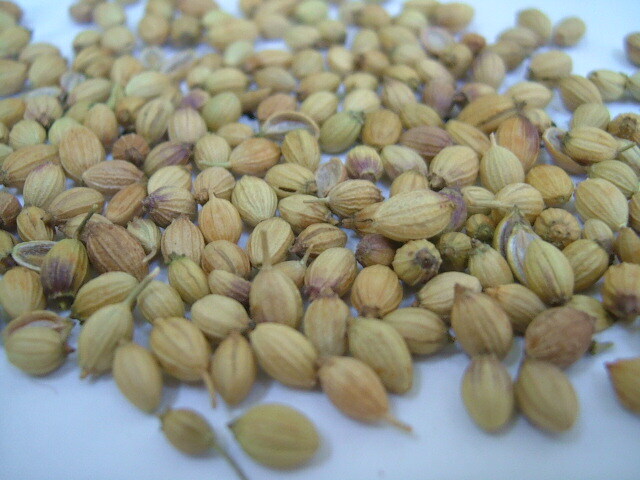 Coriander is usually grown from seed. It requires lots of warmth for germination and grows best in a warm sunny area. It has a large taproot considering its size and best sown in its final growing place as it does not transplant well. The herb will grow relativily easily in the UK - sow seeds in a deep pot (atleast 25cm) throughtout the spring and summer or in the garden in a sunny spot from late spring, it will germinate in 7 to 15 days and be ready for use after about 5 weeks. The seeds should be relativily fresh (less than 12 months) and if whole, crush them a little first. It can grow to 50cm but is best used as a fresh herb before it is fully grown while leaves are still large (1 to 1.5 cm) and flowers have not formed. If you want the seeds then leave the plant to flower and set seed, which can take another 3 to 6 weeks.